New Year Eve in Long Island is always filled with fun, excitement, and happiness. If you find yourself in Long Island this New Year Eve, you can be sure that there are loads of things you can do on this special day. Of course there is the popular Time Square ball drop. However, there are other amazing events that you can explore in the New Year without necessarily stressing yourself to get to Manhattan. And whatever you choose to do on the day, be rest assured that our best limo service Long Island is there to provide you with state of the art transportation to your destination. So let us take a look at the top five things you can do on New Year Eve in Long Island. Enjoy a spectacular and luxurious limo ride to Coral House, Baldwin NY this New Year Eve. Welcome the new year with amazing fun at the Coral House with full buffet cocktail hour, open bar, Hors D’ Oeuvres, and a huge attractions that will make your New Year start on a great note. Live music, disco, and all the fun you ever imagined is awaiting you at this destination. And when it comes to your transportation arrangement to and from this destination, you can rely on our Limo Service to Coral House, Baldwin NY to handle your movement to and from the destination. You have absolutely nothing to worry about. Our chauffeur will get to your location in time to pick you up and take you to the destination in class and style. You will love every moment of the experience. We can pick you up from anywhere in and around the city, and take you to the Coral House in Baldwin New York. Attend the New Year Eve Gala at Chateau Briand. It can only get better every year! So are you ready to let down your hair and have all the fun you missed out in 2018? The Chateau Briand is one of the destinations to consider. We assure you that it is going to be an amazing experience! Of course, we know how the road gets on special days like this, so driving your car or using a cab service will practically mess up your day. So why not engage the service of Limo Service to and from Chateau Briand, Westbury NY and experience luxury ride at its best. Wherever you are in the city, we will pick you up and take you to the destination in grand style, giving you all the amazing entertainment as you ride along. We have a wide range of fleet of limo that you can choose from. Depending on whether you are riding alone, with a partner, or with a group of friends or family, we have the perfect choice of ride for you. You only need to inform us about your preferred ride and we will bring it to you on a platter of gold. Usher in the New Year with a champagne glass held high in high spirit. This grand celebration comes with music, dance floor, open bar, and a delicious, meal. Guests will also be treated to a simulated ball drop at the stroke of twelve midnight. Enjoy a cheap limo service Long Island to the Fox Hollow at 7725 Jericho Turnpike, Woodbury. Our fleet of limos comes with fully equipped entertainment features that will make your ride as fun-filled as you can imagine. Whatever size of limo you want, be rest assured that we will make it available in you in grand style. Our Fox Hollow Woodbury NY Limo Service options are top notch and they make your riding experience a mind blowing event. You definitely will love every moment of the exciting experience. If you are ready to eat your way in style into the New Year, this is the place to be. With amazing side attractions and entertainment waiting for you, you surely would love every second at this destination. Arrive in grand style and become the center of attention. You don’t have to worry about traffic, leave that to our professional chauffeur to handle. All you just have to do is enjoy the ride and the exceptional entertainment features that are loaded in the ride. We offer our clients world class Limo Service to Garden City Hotel, Garden City NY that is comparable to none other. Wherever you are, our chauffeur will pick you up and drive you in luxury to Garden City Hotel. Whatever size of limo or party bus you want, we will make it available to you. We will make the experience worthwhile for you. Meanwhile, you don’t have to worry about the cost. As a matter of fact, you can take advantage of our Long Island Limo hourly rate for this special occasion. By this, you get to pay per the number of hours you engage our limo service. You can contact our customer care team to know all about our Long Island Limo prices. Another spectacular destination for your New Your fun is the Long Beach Hotel. Arrive at the destination in style and class as you explore the amazing foods, drinks, and music, among other features. You can dance your way into the New Year with your partner and have all the fun your heart desires. It is definitely going to be a memorable event. As far as your transportation arrangement is concerned, you can leave that to us. We assure you of an exceptional Limo Service to and From Long Beach Hotel, Long Beach NY that will take you to the destination in luxury. You only have to enjoy the ride and we will handle every other thing. We have a wide range of fleet of limos that you can choose from. Whatever choice you have, we assure you that we will make it available to you. It is surely going to be a New Year celebration like none other. Contact us for your bespoke Long Island Limo Service. At this destination, you can enjoy an exciting night with numerous activities with everyone. It is indeed a night of fun. You will have an opportunity to meet the star attraction of the aquarium; the penguins and dance to your heart content as the live DJ blasts the music. If you have kids around, they can also participate in the different crafts taking place. At the end of the fun, you can have a buffet dinner featuring spirits for adults and sparkling cider for the children to usher in the midnight toast. No doubt Long Island Aquarium at 431 East Main Street, Riverhead is the place to be during the New Year Eve. And for your Limo Service to Long Island Aquarium, Long Island NY, you can trust us for a mind blowing experience. Dress up and sparkle and be ready to dance your way into the New Year with tantalizing gourmet dinner, mind-blowing, martini bar, and loud music from one of the top DJs in Long Island. You will love the experience at this stunningly decorated club on the New Year Eve. So are you ready to hit Crest Hollow Country Club at 8325 Jericho Turnpike, Woodbury this New Year Eve? Our Limo Service to Crest Hollow Country Club, NY is available for your ride. Arrive at the club in grand style and take over the spotlight! Enjoy an evening of live music, casino games, and appetizers as you count down to the New Year at The Regent. 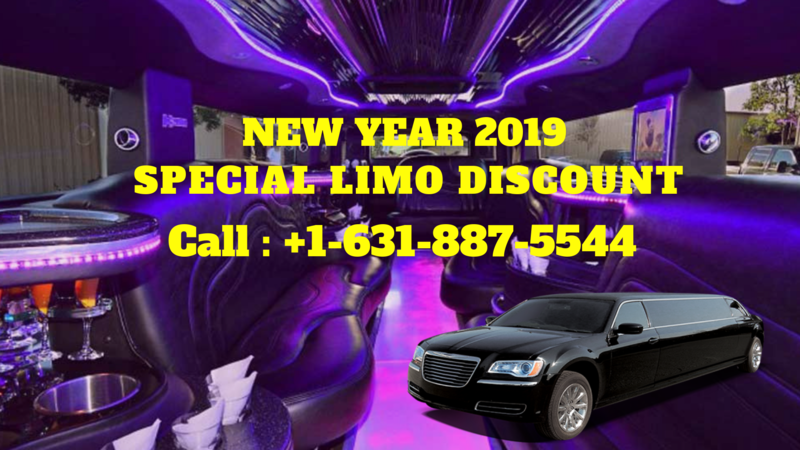 Dress up in your most elegant attire and ride in an exotic Long Island Limo as you welcome the New Year under the stunning lights of the disco ball. It is surely going to be an unforgettable experience. You don’t have to despair about the limo cost. Our Limo Service to the Regent NY is affordable. So let us give you a treat on New Year Eve as we take you to The Regent at Gurney’s Montauk Resort & Seawater Spa, 290 Old Montauk Highway, Montauk. If you have not met the love of your life up till the New Year Eve, then this is an opportunity for you at this magical event. Featuring tables arranged according to age group, participants can have a shot at meeting the love of their lives at the Dinner Dance for the Single. You might even be lucky to get a kiss to usher you into the New Year. Ride in our exclusive Limo Long Island to arrive at this magical destination. And if you are coming into Long Island through the airport on New Year Eve, we can make our Long Island airport Limo Service available to you in grand style. Call us today to make reservation for your New Year Eve travel.